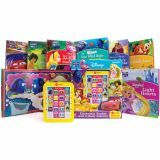 With 39 sounds and a collection of stories to explore, this treasury is a favorite for reading time! 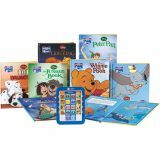 Hands-on interaction connects young readers to the stories.Matching pictures to words and sound buttons builds concentration and vocabulary.Three replaceable button cell batteries included. 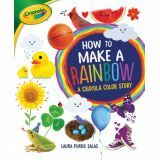 Let's make a rainbow! The sky is our laboratory. 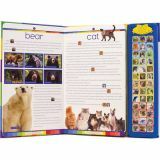 We can use the colors all around us! 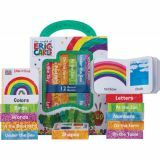 Where can you find red, orange, yellow, green, blue, indigo, and violet? 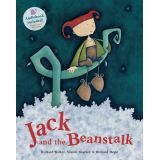 Climb the beanstalk with Jack in this quirky take on the traditional tale. When there is no food in the cupboard, Jack goes to market to sell Daisy the cow. But rather than money, Jack procures magic beans and the promise of adventure. 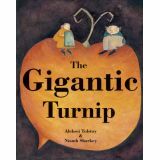 This hilarious retelling of the huge turnip grown in a cottage garden will be enjoyed by small children. The old man and his wife tug and heave at the giant turnip, to be joined by various animals and birds, until it finally comes up. 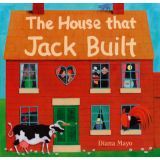 In her debut picture book, Diana Mayo builds a cumulative children's rhyme which gathers pace and complexity as it tumbles across each page. The lazy rooster and mischievous mouse can't be bothered to help the Little Red Hen tend her ear of wheat. They can't be bothered to help her take it to the miller either, or bake it into bread. 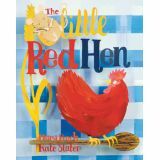 But when her loaf of warm, fragrant bread is ready, the Little Red Hen is not at all inclined to share it with them. The rooster and the mouse soon mend their ways! 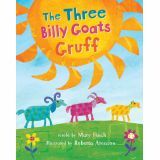 Will the three goat brothers make it across the big, hairy trolls bridge to the sweet grass on the other side of the stream? 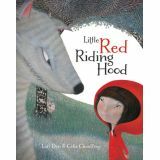 In this quirky picture book, vibrant paper collage illustrations and predictable text keep young readers engaged with the classic story.